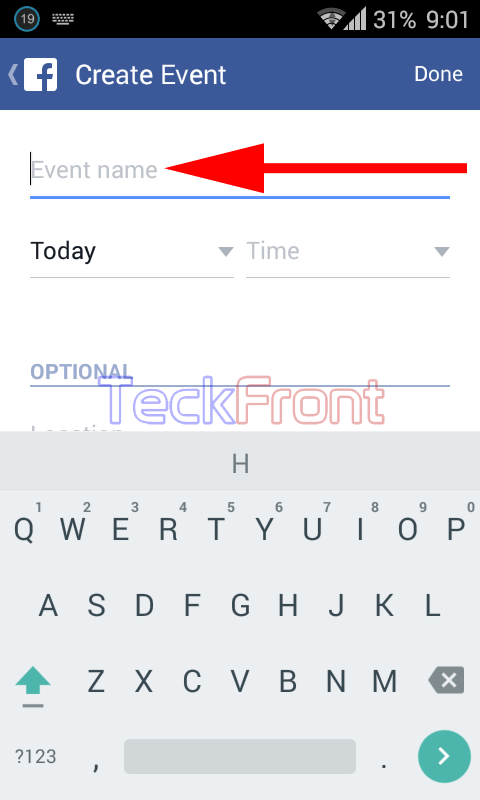 How to Create Events on Facebook on Android 4.4.x KitKat Device? 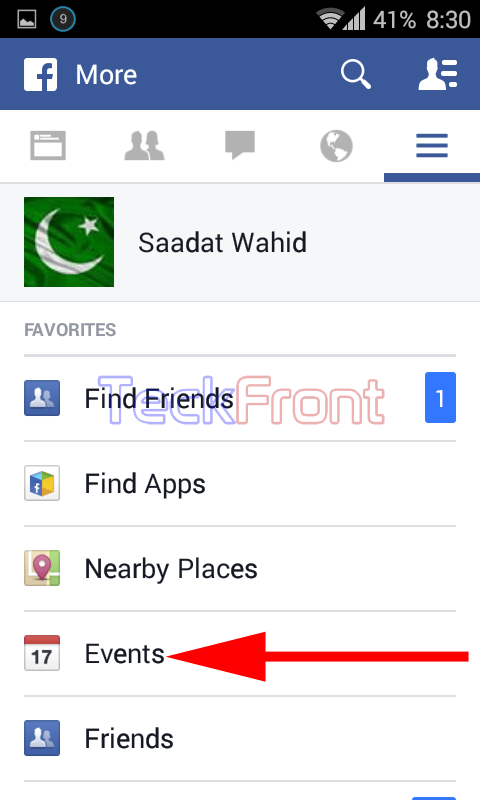 A very exciting feature of the Facebook app of Android 4.4.x KitKat devices is to create events to celebrate special events and occasions of your life on the Facebook so that you may share, invite or enjoy your pleasures with other friends on the Facebook. 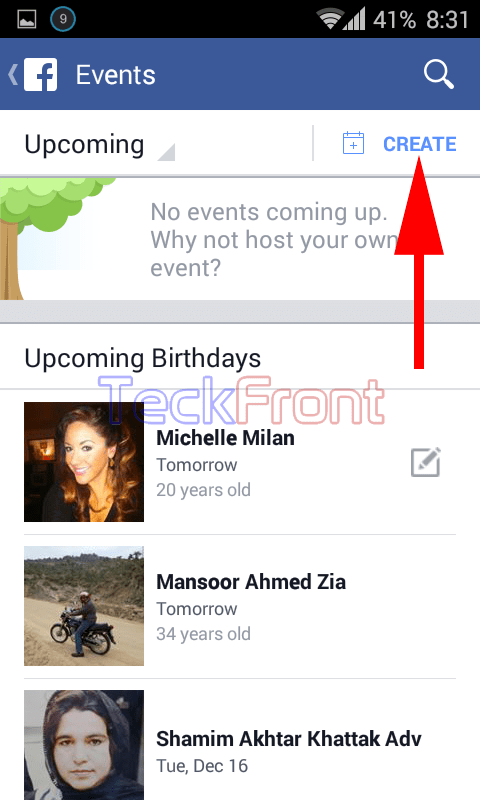 Creating events on Facebook app are a specific feature to attract the attention of the friends collectively, without contacting each and every friend, individually. While crating events, you will explore many other features of the Create Event. You may create event, very easily, if you follow the instruction. 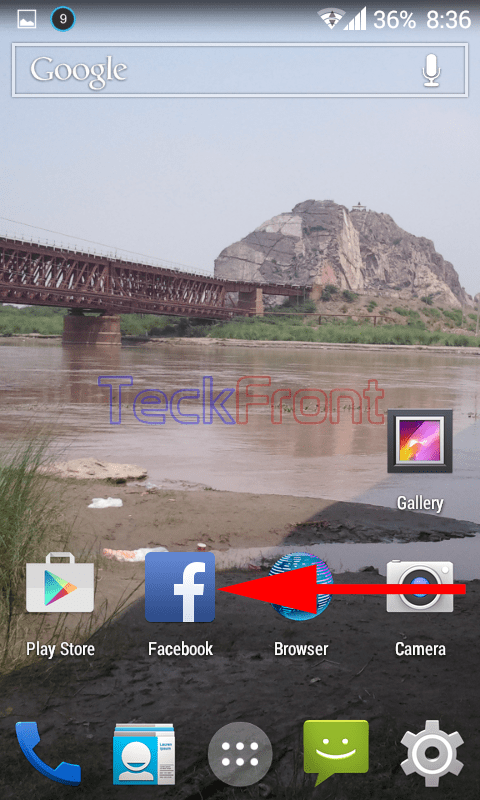 1: Tap the icon of ‘Facebook’ app on Home screen of your Android 4.4.x KitKat device. 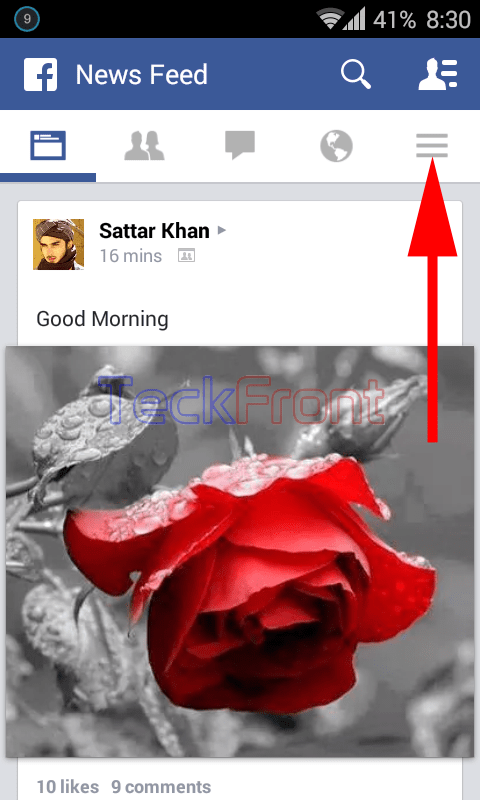 2: At the ‘Facebook, app screen, tap the ‘Settings’ menu screen opener. It will open up the ‘More’ screen. 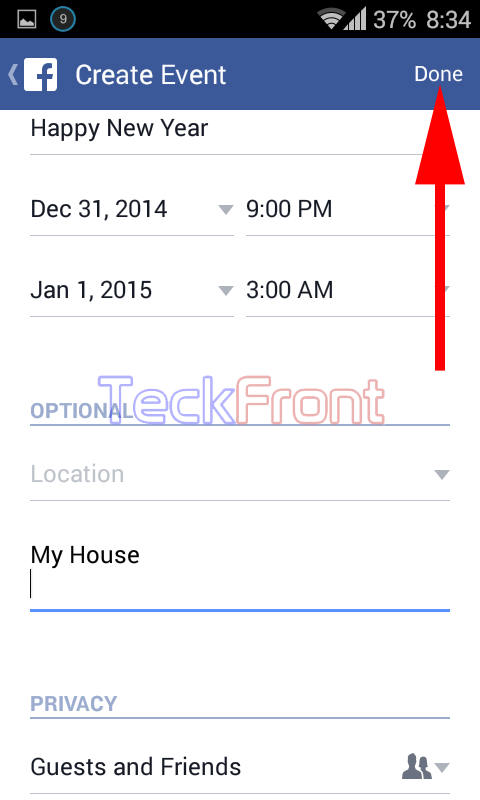 3: Tap ‘Events’ under the FAVORITES at the ‘More screen to open up ‘Events’ screen. 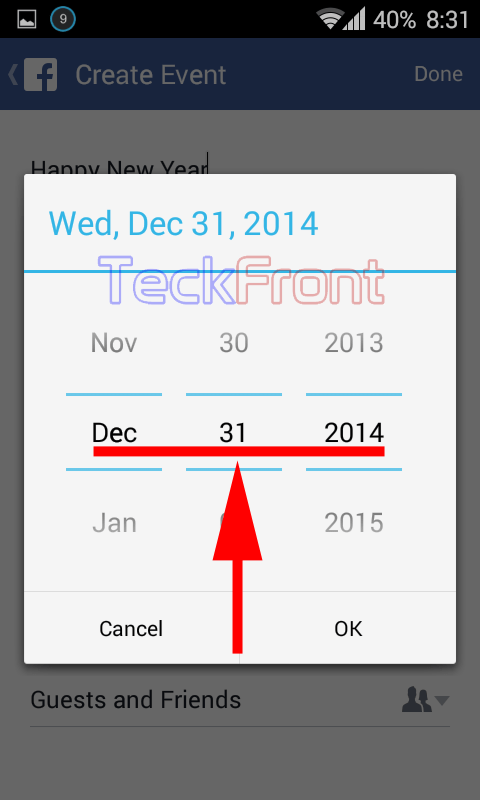 4: At the ‘Events’ screen, tap the CREATE button, given at the top right corner of the screen. 5: At the ‘Create events’ screen, see the ‘Events name’ space is empty. 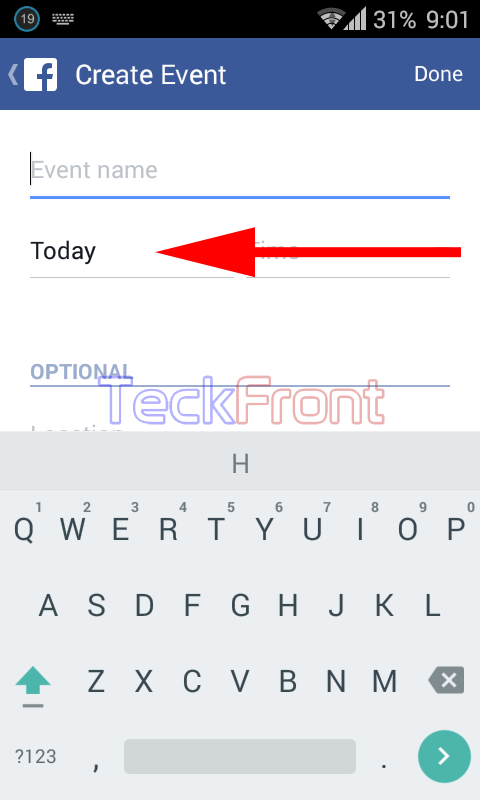 Tap here to write the events name. 6: With the help of the keyboard, given at the bottom of the screen, write the name of the even. 7: Immediately below the name of the event, the default day is ‘Today’. If you want to change it, tap it. 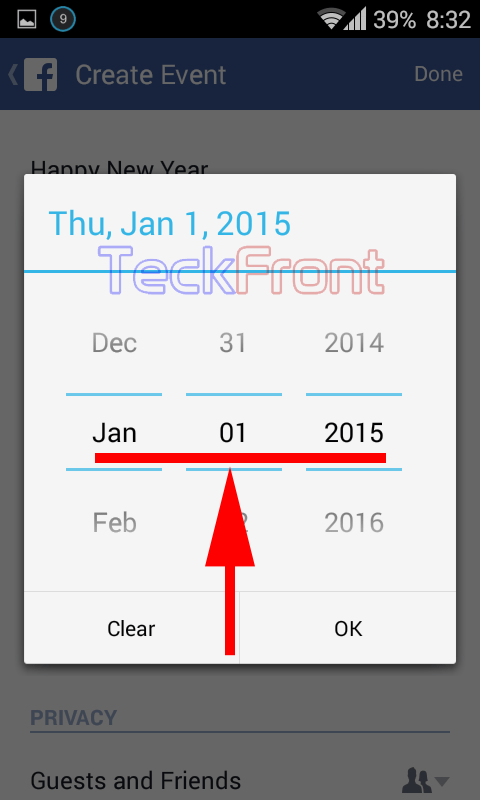 It will open up a popup setter where you may set the date of the event by scrolling the month, day and the year options. Tap to save the date. 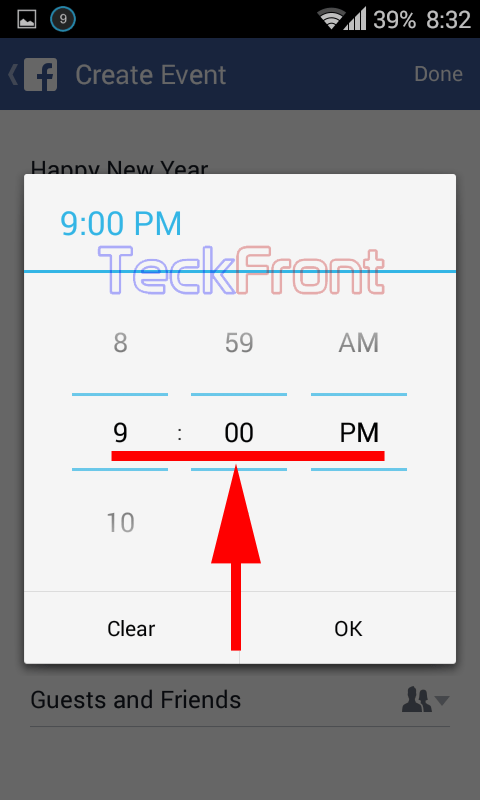 8: To set the time of the event, tap the ‘Time’. It will again take you to another time setter popup. Here, you may set the starting time. When you will tap OK to save the event time, it will take you to the place fixed for the ‘Event End’ date’ of the event. 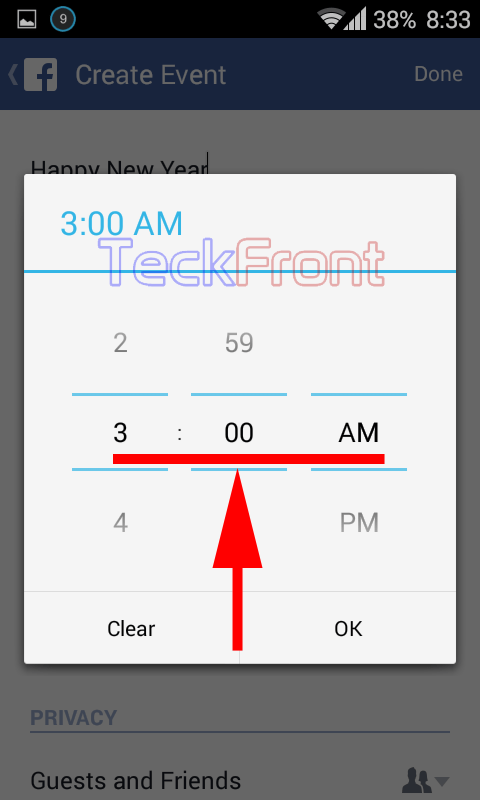 9: At the ‘End Date, and the ‘End Time’ write the end date and end time with the help of the setter popup. 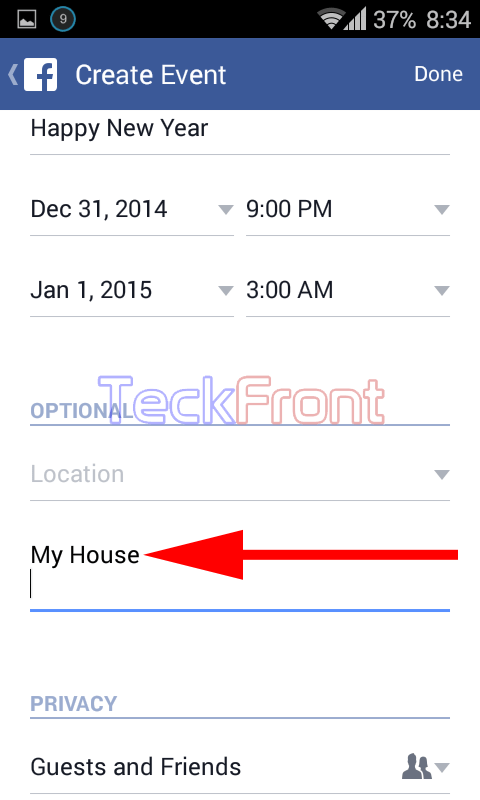 10: Tap the ‘Location’ to set the location of the event. And at the Details, I set the venue of the event as ‘My House’. You may set as per your choice and / or requirements. 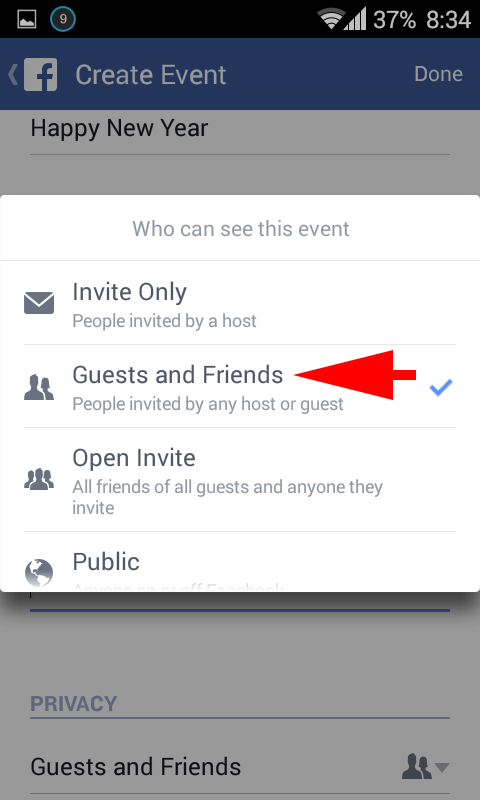 11: Under the PRIVACY, see the default is ‘Guests and Friends’. Tap to change it. I Selected ‘Guests and Friends’ and tapped it. 13: To finalize and upload the event to announce it, tap the ‘Done’ button, given at the top right corner of the ‘Create Event’ screen. 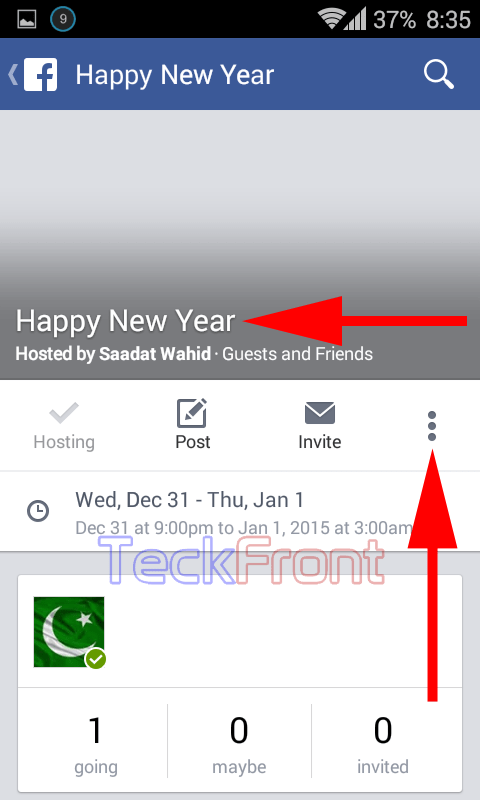 It will publish the event at the ‘Timeline’ of your profile at Facebook app. 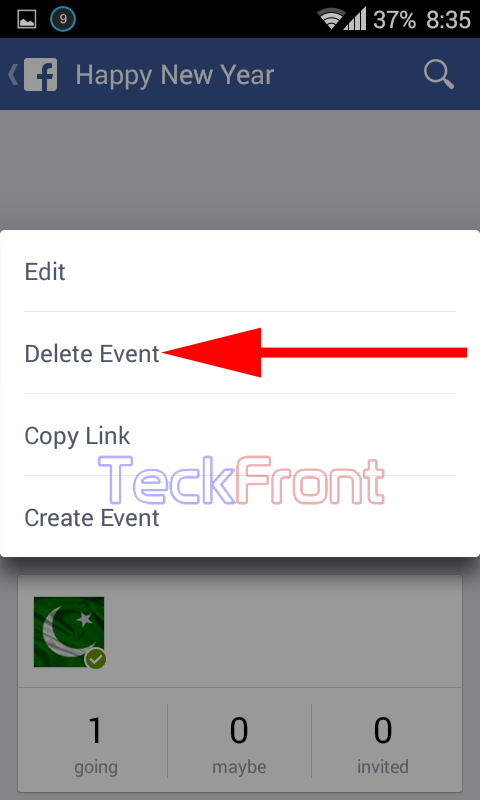 14: If you want to delete the event, at any time in future, tap the settings button given at the middle of the event. It will open up a popup menu. 15: At the popup menu, tap the ‘Delete Event’. It will open up a prompt. 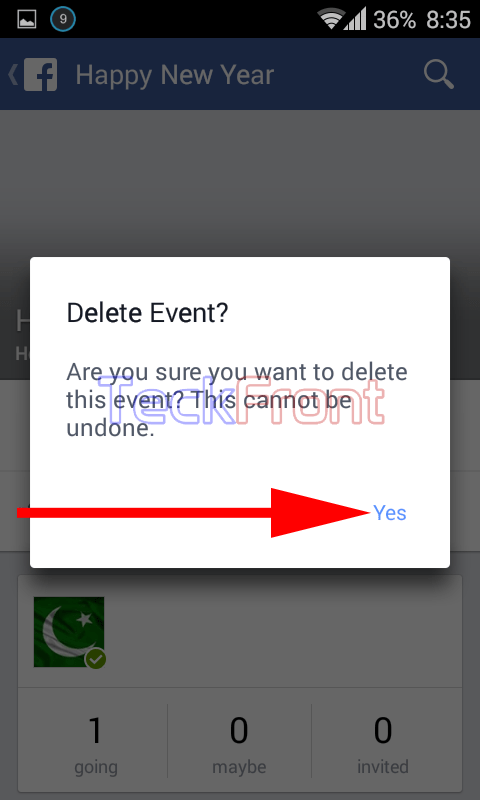 16: At the ‘Delete Event’ prompt, if you are sure that you want to delete this event, simply tap the light blue colored ‘Yes’ button. And see the ‘Event’ is deleted from your Timeline. 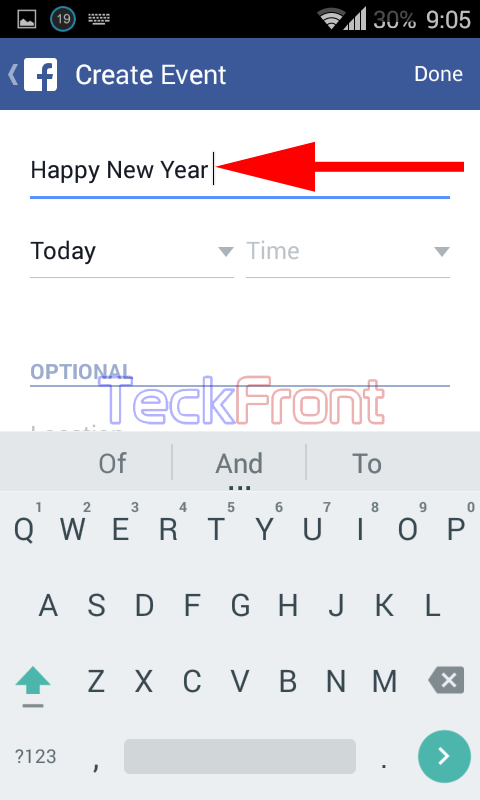 Newer How to Choose System Language for Google Keyboard for Android 4.4.x KitKat? Older Download YouTube v6.0.11 apk with Material Design similar to Android 5 Lollipop – Direct links!